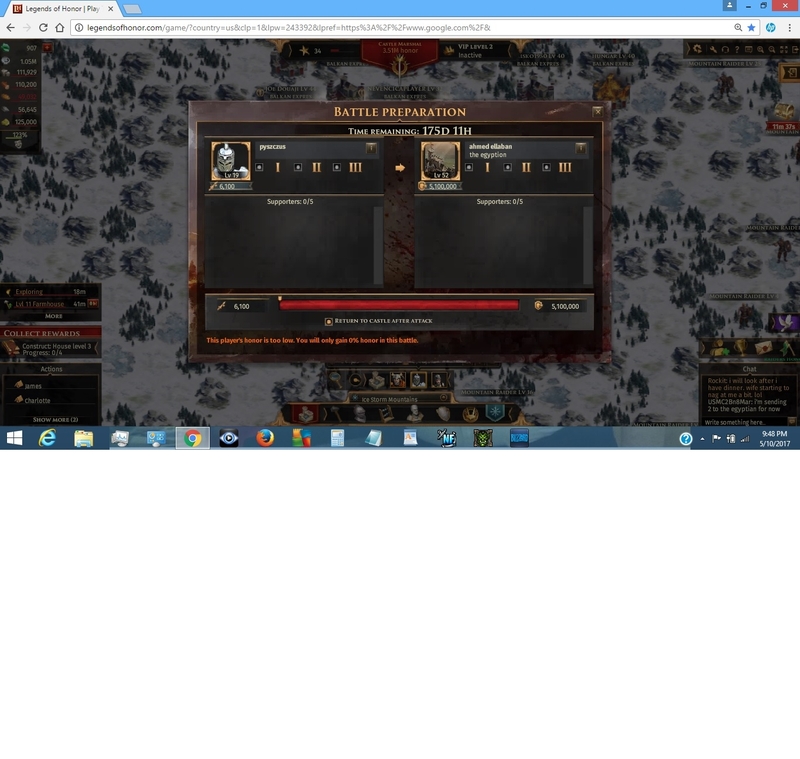 I recently Seen a battle on the International server, and at the time I took a screenshot the battle was lasting 175 Days 11 Hours. I looked again a bbit later and it was 175 Days 12 Hours.The attacker has 6,100 attack vs 5.1M defense. Also the person attacking has -300k honor. This is the screenshot I took.